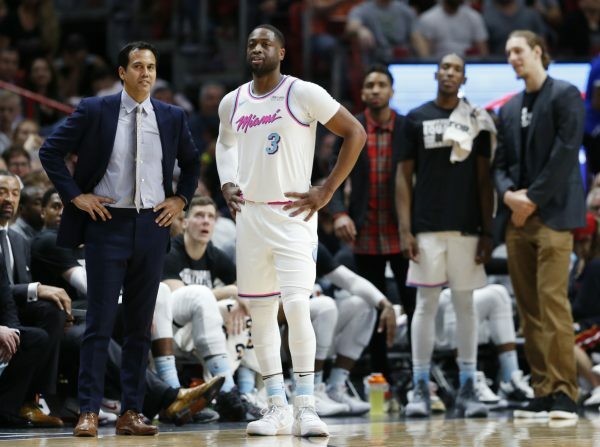 Miami Heat star Dwyane Wade said that head coach Erik Spoelstra convinced him to return for one last season. Speaking to reporters at a season-opening news conference Monday, Wade said that he decided to return last Sunday after speaking with Spoelstra the previous Friday. He added that he was leaning “90-10” towards retirement after last season. The 12-time All-Star, who wore a “Wade 3:16” shirt to symbolize his jersey number and his 16 seasons in the league, said that he is just trying to make the most of his final training camp with the Heat. Wade, who averaged 22.9 minutes off the bench for the Heat and Cleveland Cavaliers last year, said that he “would love to start” but is willing to play whatever role the team needs. Wade said he is at peace no matter how his final season plays out. Asked about what the future holds after his final season on the court, Wade said his ultimate goal is to become a team owner. “I want to be around the game,” he said. 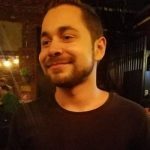 Igor Derysh is a veteran New York-based sportswriter whose work has been featured in the Los Angeles Times, Chicago Tribune, Boston Herald, and Baltimore Sun. He's covered the NBA for XN Sports, FantasyPros, AOL News, and COED.